Standing on the bare ground, my head bathed by the blithe air, and uplifted into infinite space, all mean egotism vanishes. I become a transparent eyeball – I am nothing; I see all; the currents of the Universal Being circulate through me – I am part or particle of God. The name of the nearest friend sounds then foreign and accidental: to be brothers, to be acquaintances – master or servant, is then a trifle, and a disturbance. I am a lover of uncontained and immortal beauty. In the wilderness, I have something more connate and dear than in the streets or villages. In the tranquil landscape, and especially in the distant line of the horizon, man beholds somewhat as beautiful as his own nature. 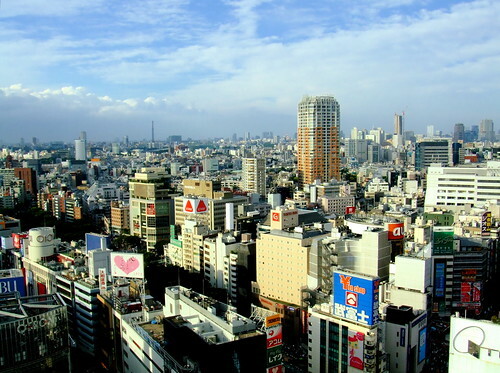 Of course, Tokyo isn’t exactly the wilderness, or even Concord, but I think you can see what I mean. A view taken from the 24th floor after a brief rain took all of the haze out of the atmosphere. 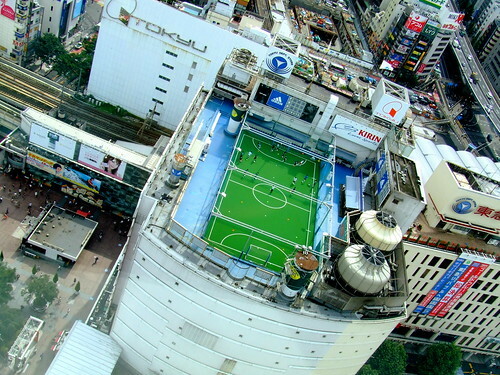 This is an outdoor soccer ground — probably futsal, actually — located on top of a building that attaches to Shibuya station. 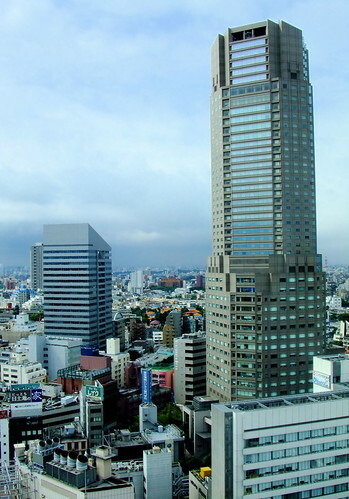 If you look to the left of the photograph you can see the Hachiko entrance. 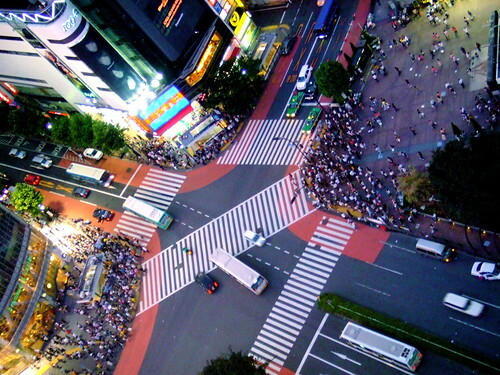 A view of the intersection outside Shibuya station. 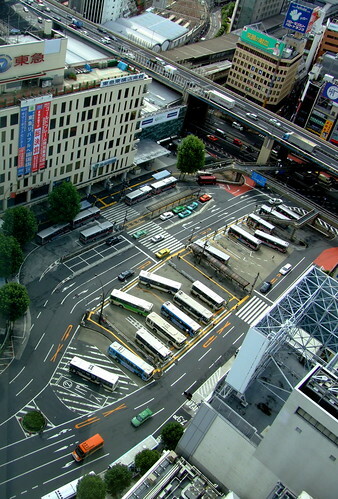 This is one of the most famous intersections in the world. 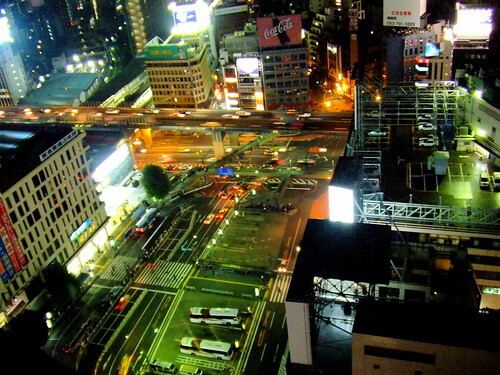 Here’s a night view of the bus station outside of our hotel window. The image on the top of the page is the same view during the day.